The Google Play Store now has a new app from Microsoft called Office Remote. 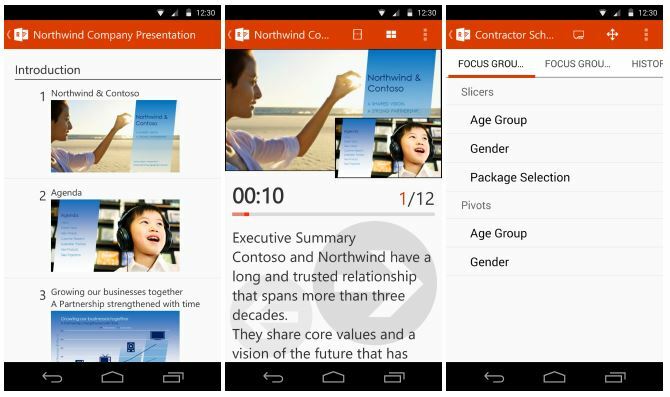 The name of the app describes exactly what it is meant to do – become a command centre for Microsoft’s Office suite of products. The app connects to the user’s laptop or desktop PC via Bluetooth and it has several useful features for the user when using Microsoft Office. The main feature of the app is that it turns your phone into a clicker, to advance to the next slide. Other than that, it also lets the user use his/her finger to move a virtual laser pointer on the laptop or desktop it’s connected to. In addition, the app also lets users manipulate Excel tables, jump to headings, and even read speaker notes attached within the powerpoint slide. Currently, it only supports Office 2013 and Office 2016 Preview on Windows. In order to use the desktop version, users will need to download an extension and follow a simple tutorial which can be found within the app itself. It is still unclear whether the app will support Mac systems, but if it does, it should come together with the release of the Office 2016 on Mac. Office Remote has already been available on Windows Phone for quite a while now, but it seems Microsoft is expanding the number of its apps on platforms. Unlike Office Lens which needs registration to be a tester, the app is now official with no restrictions or invitations required, so users can grab it now on the Play Store and give it a try.